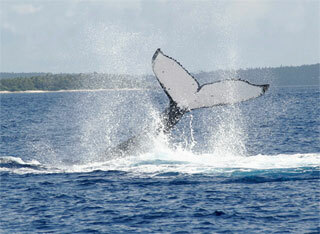 Humpback whales arrive in Tonga waters from about June through to November. The whales come here to calve and to mate. They can be found throughout the Vava'u group. You may see these dramatic beasts and possibly hear their songs while in the water or even reverberating from inside your Moorings yacht. It is even possible to swim with the whales. There are many whale watching programs and guides in the area that can be arranged via the base. Very good Jewellery makes are found in Vava'u. Carving of bone are especially desirable. The carvings generally represent a traditional motif. The South Pacific Sailing base shop showcases samples of local carvings and jewellery. Please ask the base staff for further details or specific order information. 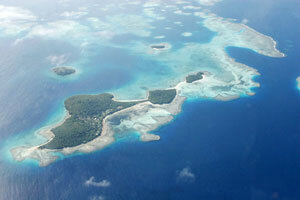 Diving & snorkeling are excellent in the beautiful South Pacific setting. We do not allow dive gear on our yachts and whilst the diving here is fantastic to see any good spots one needs to go with a dive company because waters around dive sites are all over 150ft deep with no where to anchor. The dive companies will pick you up from your yacht and take you on a three tank dive and drop you back to the yacht all for around US$60. Full-service Dive Centre featuring guided diving using two robust diesel cruisers. IDEA elite training center, tertiary-level diving instruction. PADI certification. PADI Dive Centre offers diving adventures for both novice and experienced level divers; dive instruction and first-aid training also available. Fishing gear can be hired trolling lures and the best way to fish / a local shop in Neiafu rents gear and sells lures. Sports fishing is excellent. Here the fisherman can find Mahi Mahi, Sailfish and Yellowtail Tuna. Kayaks can be booked for client with The Moorings (please contact your Moorings office). Kayaks are a great way to see the island and see the locals up close. 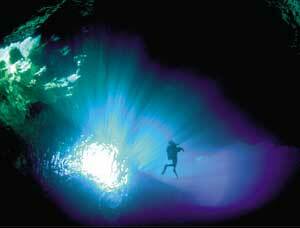 Both on land & un derwater, is spectacular and easily accessible. With water temperatures around a pleasant 23C to 30C (73F to 86F) snorkelling, surfing, swimming and diving are great in any of the major island groups. Volcanoes, shipwrecks, canyons, coral reefs, a stunning variety of reef fish and visibility that in places reaches 70m (230ft) make the snorkelling and diving spectacular.